How many players, so many opinions. Standoff Multiplayer is a game that is so similar to Battlefield but at the same time so unique that it’s hard to imagine. 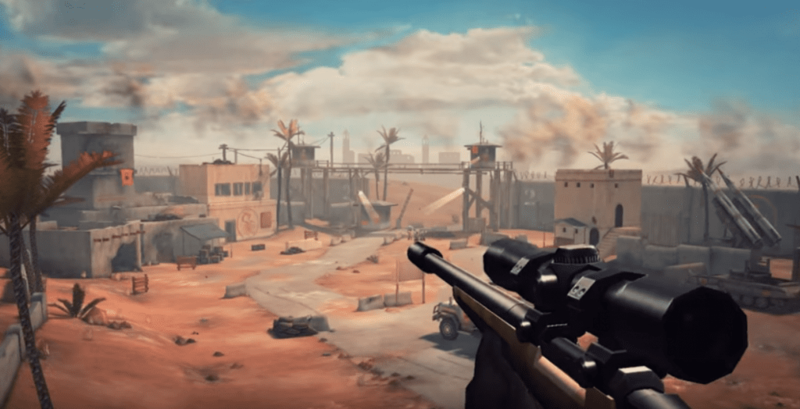 The familiar confrontation between terrorists and special forces in this game will be especially exciting because almost everything depends on the choice of the side. A huge range of weapons and equipment will allow you to choose your own tactics of game and combat and turn into a real killing machine. A distinctive feature is a convenient and intuitive interface and control system. A developed combat system allows you to use different tactics more effectively. 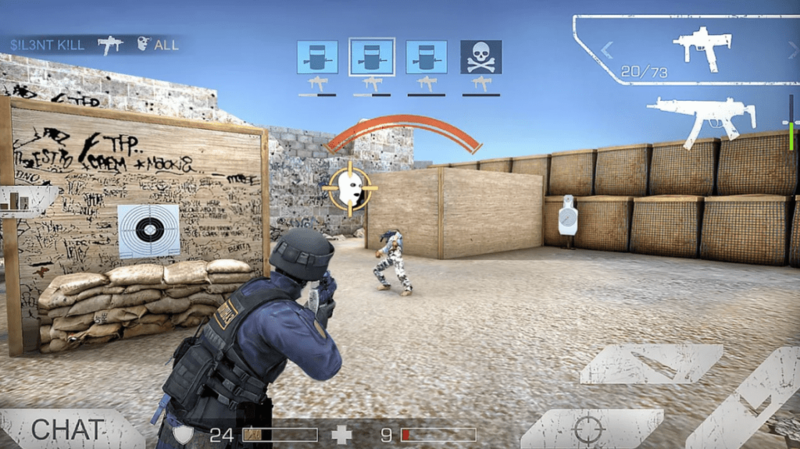 A high-quality optimization allows access to the game for almost any device. A large selection of game modes will not let you get tired of the monotony: an arms race, flag capture, a sniper duel and much more await you in the game. Combined with a huge selection of maps this makes the game infinitely interesting. Develop and pump your character. Gather the best team and stand at the top of the ranking. League of War: Mercenaries is a unique military strategy with three-dimensional graphics, which can bring you closer to fighting on the battlefield. During the gameplay, you need to sign military treaties and lead huge armies of mercenary soldiers in battles. 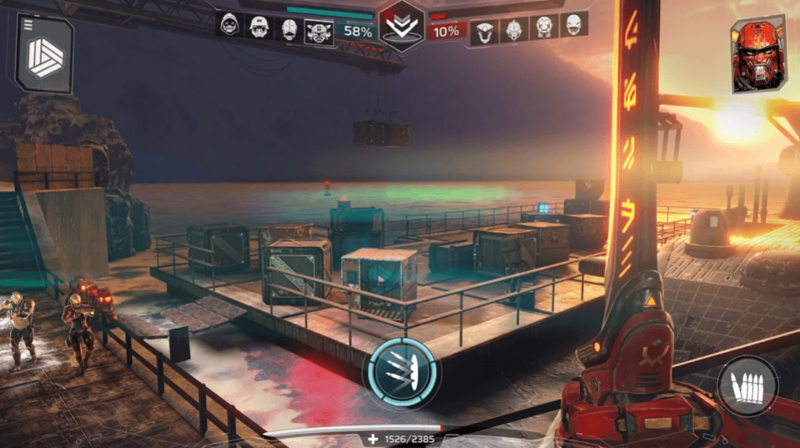 During the game, you can dive into the exciting world of League of War: Mercenaries, where there is a high level of combat dynamics. You can also build your own military headquarters, and conduct battles with other players in various locations located on a detailed map. Each player can try to pass 100 different trials and join the battle with other mercenaries in order to show himself as a great warrior and get unique war trophies. 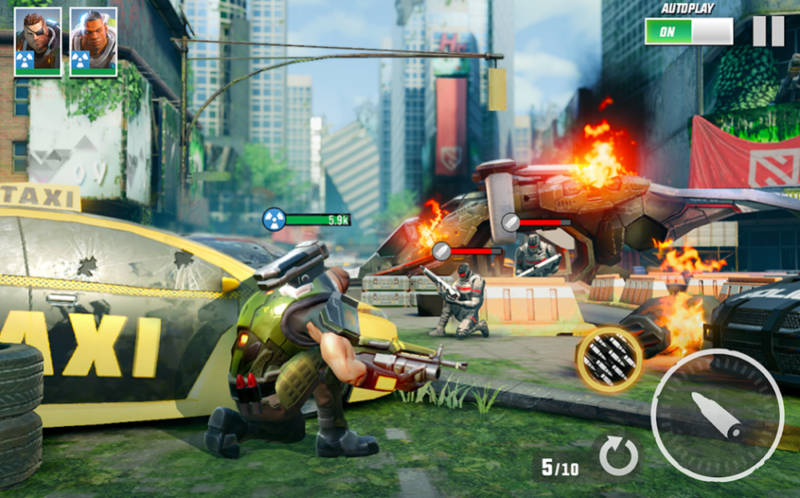 In League of War: Mercenaries, developers have created a unique mode of construction and combat battles, which can be felt in 3D graphics. In the military headquarters, you can create and improve the most diverse military equipment: helicopters, tanks, infantry and much more. Don’t forget to improve your own combat skills, buying additional improvements for the coins received in battles. In addition to high-quality graphics, the game has the ease of management and is loaded absolutely free. 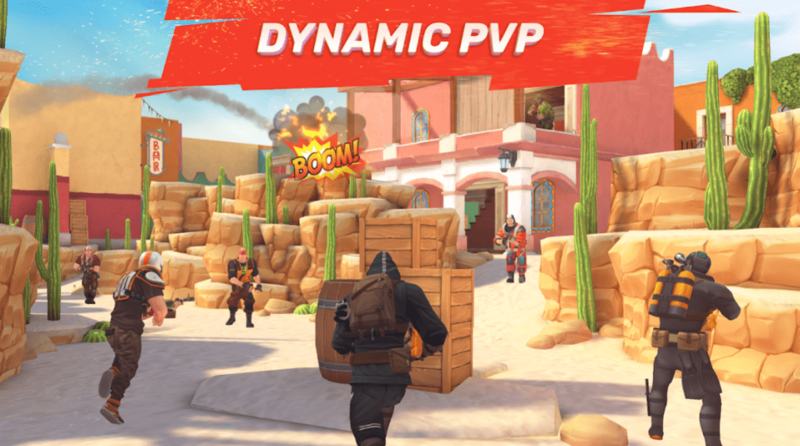 One of the best games on mobile devices, which is a kind of sniper simulator with elements of a shooter, in which you have to perform a variety of tasks, as well as fight with other players in the PvP format. The developers made an excellent graphic design, added good animation, cool special effects, decent sound. 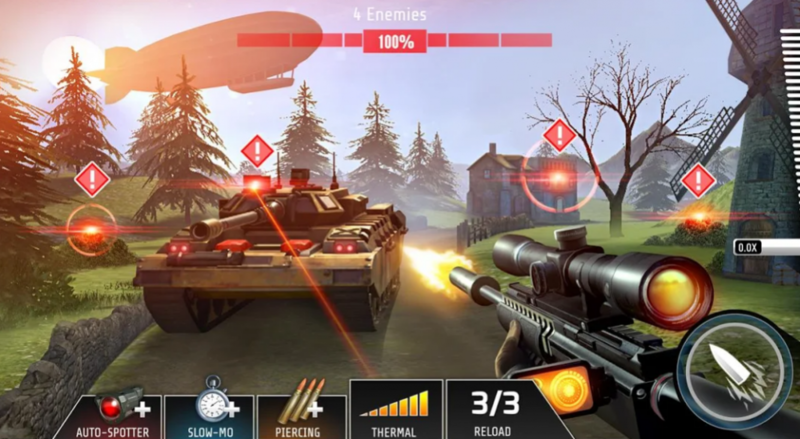 In fact, the game Sniper Strike is a sniper shooter, in which the main focus is on exciting missions and dynamic battles with other players. In each mission, there is some specific task or several tasks that need to be completed in a certain time. In this case, the less time you spend on the task, the more bonuses you can get. Successful passage guarantees a cash reward and a variety of bonuses. As in other similar games, the fundamental aspects are money and energy. The first can be earned in missions, and then spent on pumping existing weapons or buying new equipment, new snipers or machine guns. The second is necessary for access to missions. As mentioned above, the game has a PvP mode of battles in which you can do some shooting with other players. In this mode, both awards are more impressive, and more interest. In this mode, you can team up with friends and complete various tasks with them. 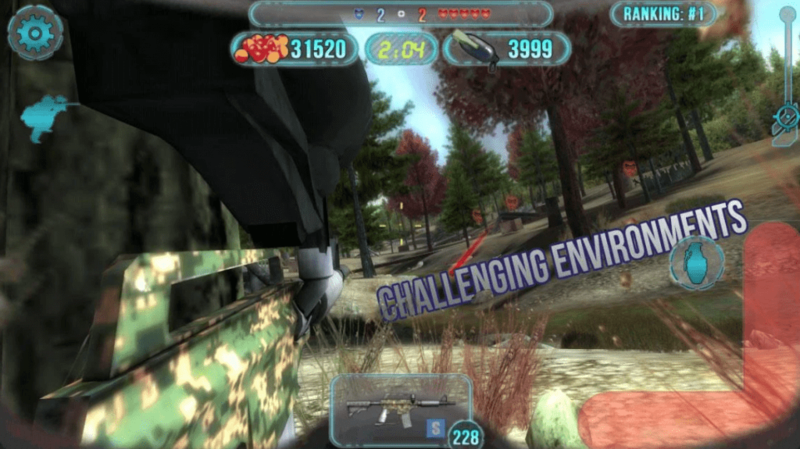 Fields Of Battle is an excellent game in the genre of “action” in which you have to play paintball in many locations and with different opponents. Choose your weapon and fight! 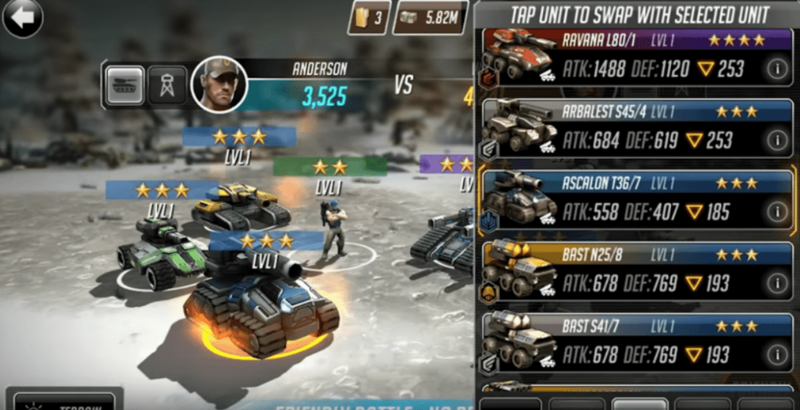 In this new application, unique characteristics of the battle are used. 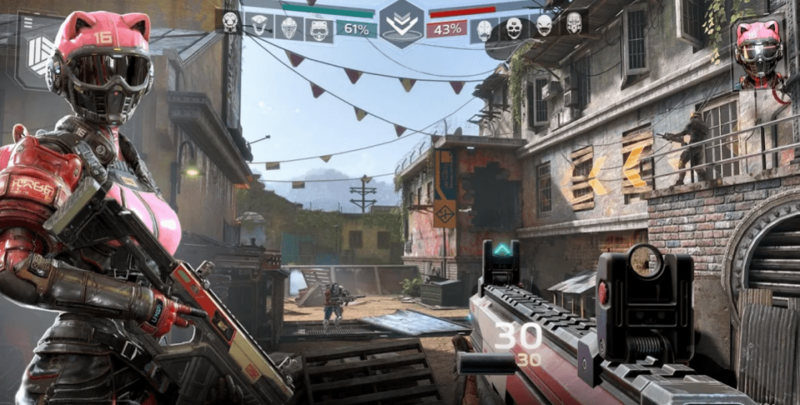 You will be surprised by the quality of graphics, intuitive control of the character, variations of movement and locations that brought mobile shooters to a new level. Swim underwater, hide in the shelter, throw grenades. There are strict rules – one shot and the enemy eliminated. You have the right to manage your arsenal, manually adjust the target and angle of the shot. Remember that there is no auto-sight in the game – you have to do everything yourself. Play against many players online, don’t forget to look into the world standings. Improve yourself in an online world that is constantly changing. Battles take place at real locations and localities, but fictional areas are included. Adjust your unique character under your skills and choose cool weapons from the arsenal. The weather conditions will interfere, which are in the application as real – wind, rain, fog. You can play both on the smartphone and on the tablet. 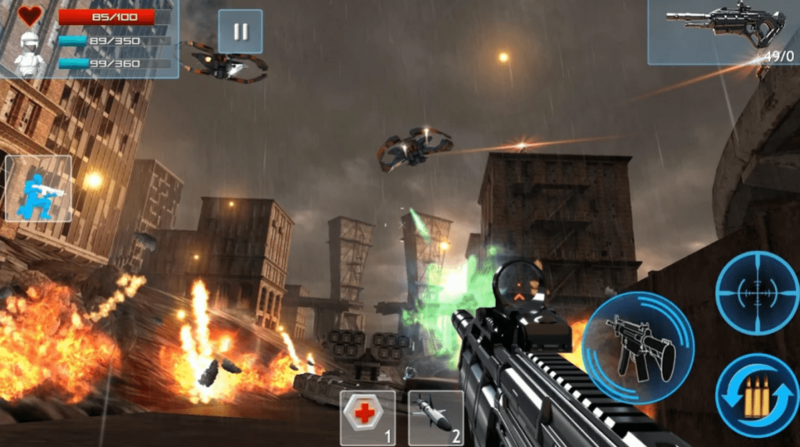 Pocket Troops is a hurricane action for smartphones and tablets, which is made like a third-person shooter. 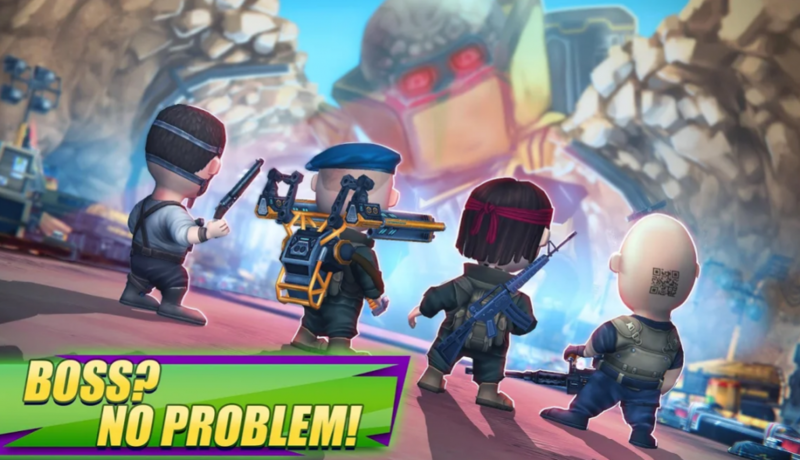 In the Pocket Troops app, you can unite irresistible fighters and create a team of volunteers who have battle skills and be able to handle any type of weapon. To create your team, you need to choose fighters from 6 classes. Each fighter will have individual characteristics, his own unique abilities, and his own temper. However, together it will be an invincible and unstoppable team, defeating any enemies. In the strategic game Pocket Troop, you will enjoy as many as 12 missions. You will fight with your team against insidious enemies. Opponents will be led by Dr. Evil himself. If you aren’t interested in playing alone, you can fight with players online, take trophies from them. Your enemies are also strong enough, so train your fighters well. For training, you will have equipped gyms and various simulators. By the way, your heroes will never die, because in the Pocket Troops application there is a hospital where all the fighters quickly improve their health. So if you prefer interesting and exciting strategies, download the game Pocket Troops! This time you are offered to plunge into the insane atmosphere of a cruel confrontation between notorious thugs and hundreds of enemies. 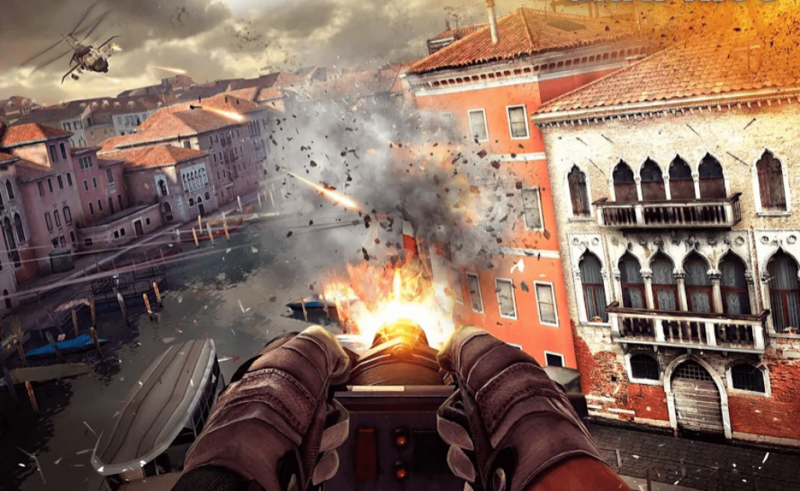 The game is a virtual shooting gallery with a first-person view, but with the ability to switch the camera to a third-person view. In this game, you have to manage five heroes at once. In the process, you will switch between them whenever possible and necessary. If you like such games, then be sure to download Hero Hunters. 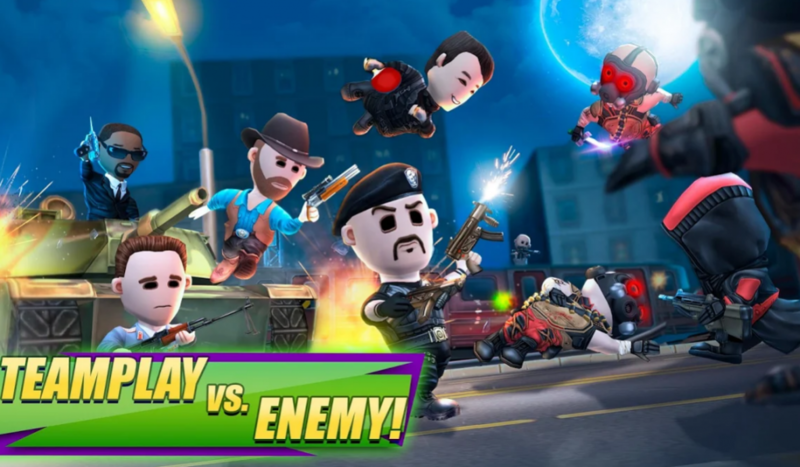 In this gaming application, you will fight against various troops, using various obstacles and barriers as assistants. At your disposal, there are five characters. Each character belongs to his own particular class. Each class has its own characteristics, pros and cons. Be sure to consider this when passing levels. The team of the player includes heroes, each of which performs his own specific role. In addition to their unique weapons, each hero in the team also has superpowers, thanks to which you can even get out of a hopeless situation. However, there is still a need to learn to understand where it is necessary to use the ability, and where it is better not to use it. Winning at the level is rewarded with coins. In the future, for these coins, you can buy any improvements for current equipment, as well as new equipment. There is an online mode where you can fight with other players. 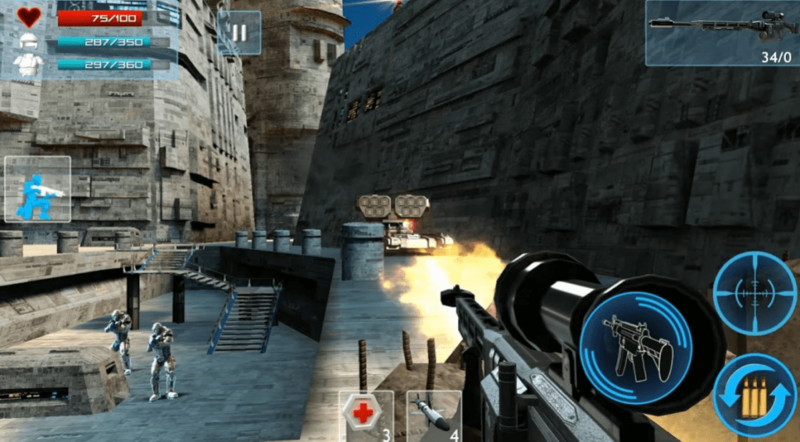 Bullet Force is a multiplayer game for Android in the genre of the first-person shooter with a dynamic storyline. The game has an online battle mode in which up to 20 players can fight. 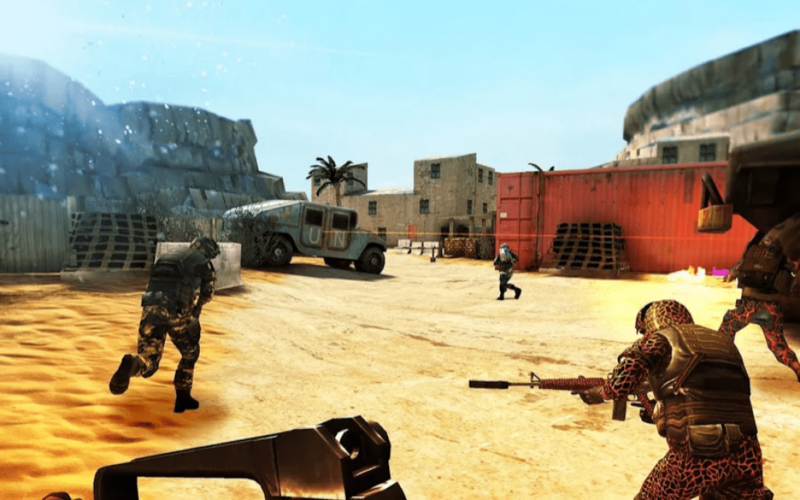 Gun Game – a team game with a higher level of weapons for killing rivals. 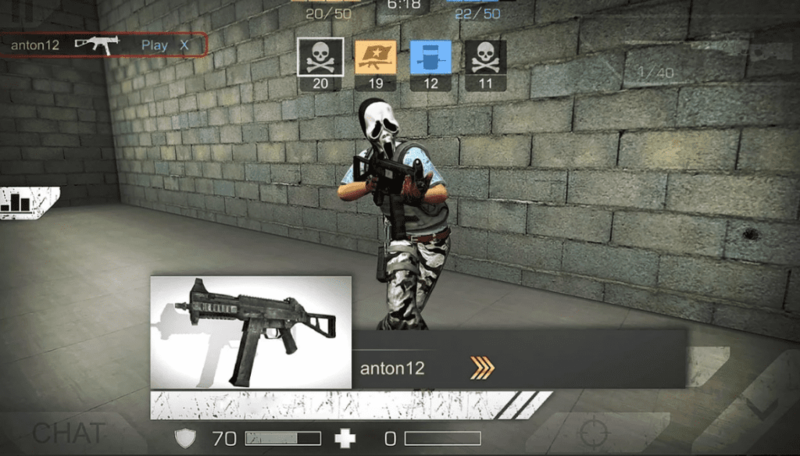 The Bullet Force player has access to a huge number of various weapons, camouflage, and equipment that make the game more diverse and interesting. Show your shooting accuracy and become a leader. In this exciting game, you can challenge players from all over the world. 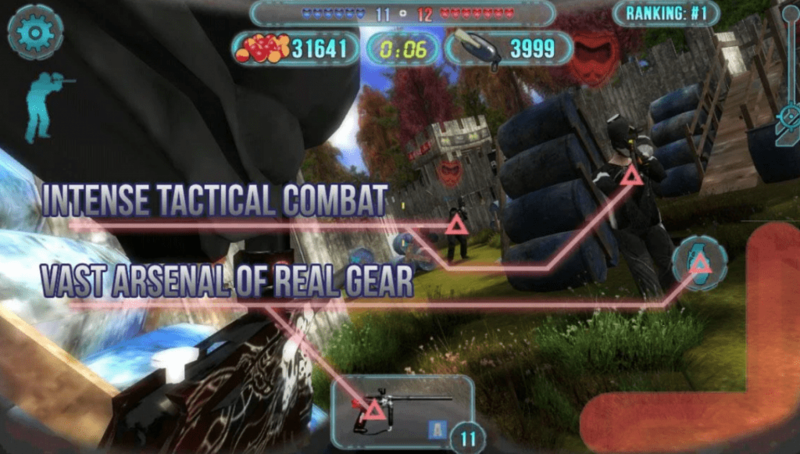 Enemy Strike 2 is a shooter with very high-quality graphics. For mobile phones, there is really good detail of objects and locations in general. But this is not the main thing, because there is quite an interesting and complex gameplay. This project is divided into many combat missions. Honestly, to finish all the tasks is impossible, because they are simply endless. Here you need to open different locations. You will also need to upgrade your weapon. There are 30 types of weapons and its modifications. In addition, this game has as many as 5 modes with different gameplay. But in general, the task of the levels is the same. You will need to stand against alien invaders. It is worth noting that in this project you can not move. The whole game takes place in one location, what simplifies it. Since this is a shooter on the phone, it’s not very easy to control here. And the lack of need to move greatly simplifies the game. But there are a lot of enemies, and they must be destroyed. To do this, you have different types of weapons and a few buttons for the game. All buttons are located in the lower left corner. The enemies themselves will change positions, giving the opportunity to kill them. 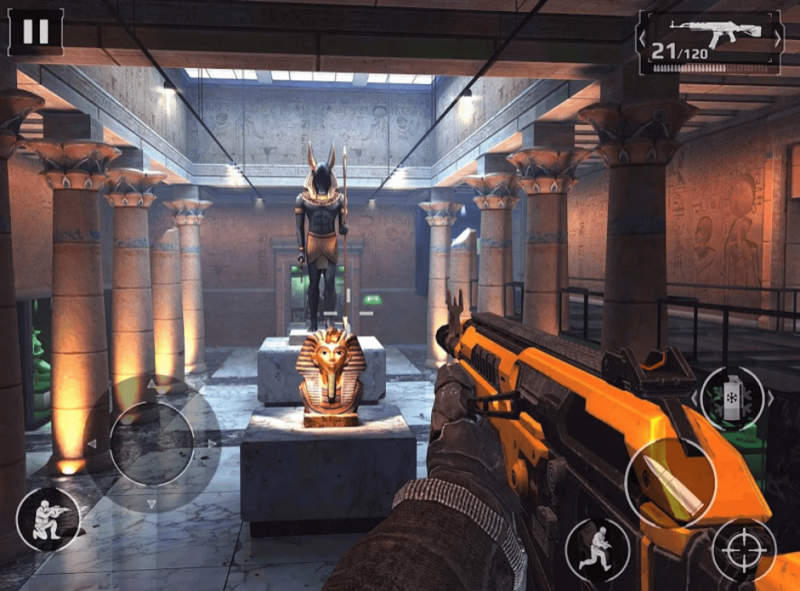 This game differs from the many shooters that can be found on mobile phones. And the main difference is in very advanced graphics. 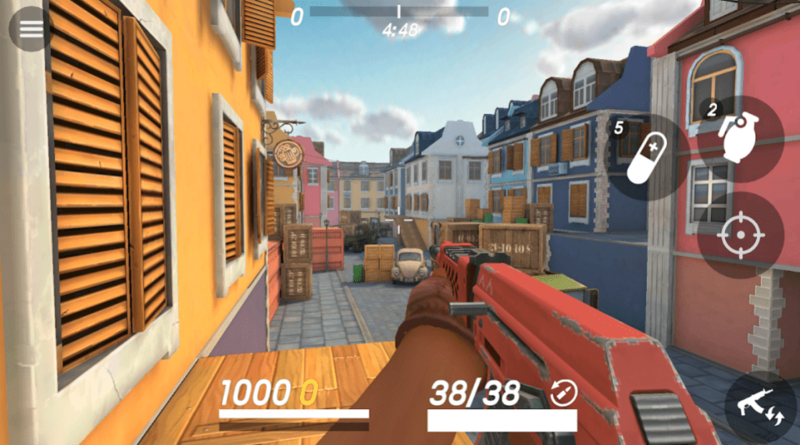 Kill Shot Bravo is a mobile action game that will be just as good as the top shooters for personal computers. You will have the opportunity to play different game modes and pass a large number of different missions. By the way, there are a lot of missions, so you have to play for a long time. But the passage of the levels is quite fast. At first, the levels will seem damn easy for you, but then the enemies will become stronger and you will have no time for jokes. 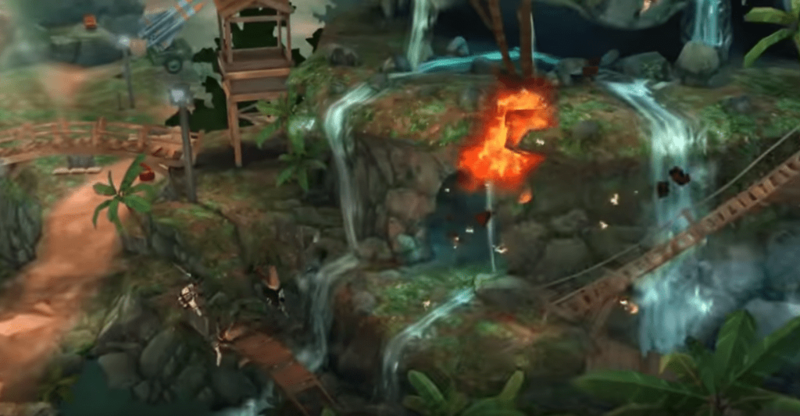 All levels have their own game design of locations that are very beautiful. 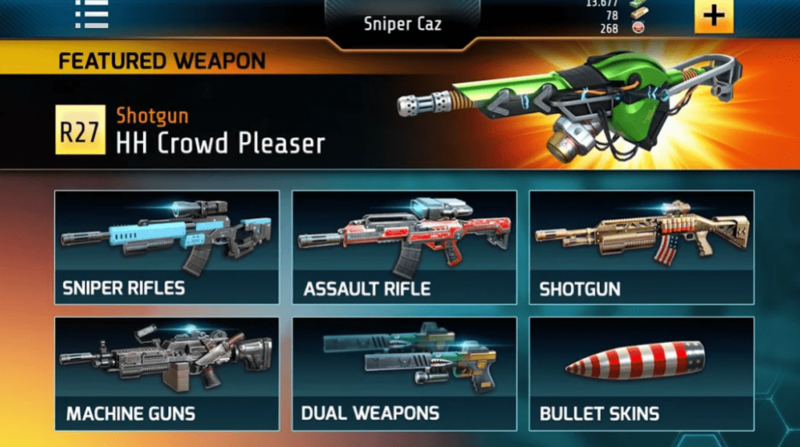 In most cases, at the levels, you will be provided with the main weapon sniper rifle, but you can easily change it to any weapon convenient for you. Fortunately, the game has a very large selection of different guns, ranging from submachine guns and ending with a large number of different flamethrowers and bazookas. 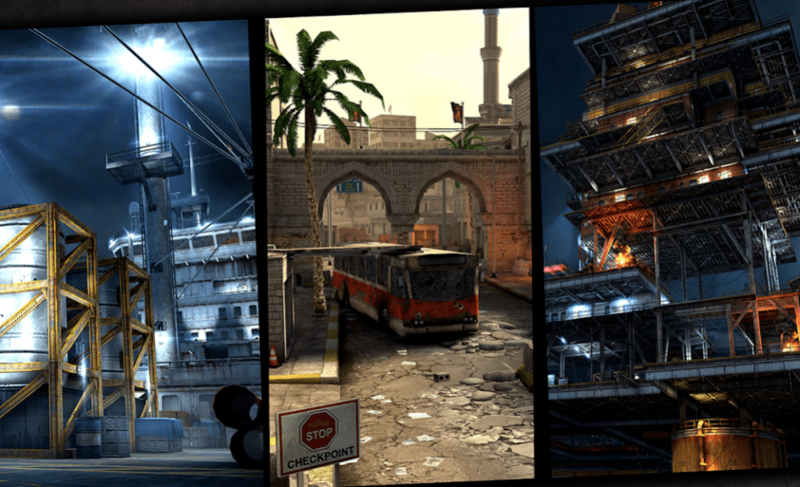 Hurry up to install the next military shooter Modern Combat 5! Start creating a detachment, train fighters, choose weapons, invite friends to the team – and go to battle! Become the savior of mankind, protect people from invaders and radicals. You have not yet decided who you will be? You have the opportunity to become an attack aircraft, reconnaissance, paratrooper, sniper or support fighter. Train your hero, develop skills, pump, choose tactics, fight alone or join a network battle with your squad against the opposing team. Don’t miss the opportunity to discuss your actions and successes in chat rooms (team, global), as well as follow the success of the leaders in the table of records. Remember that for participation in events and victories you get rewards. To win in the battle, you need to gain experience, master weapon, and tactical techniques. You can create a dream weapon to your liking by choosing the desired module from a huge number of options. Your battles can happen anywhere in the world, but they will always be dynamic and exciting. For those who want to know what he can do, there is a special forces game mode. Graphics, music, and sound are beyond praise, which makes the game even more exciting. 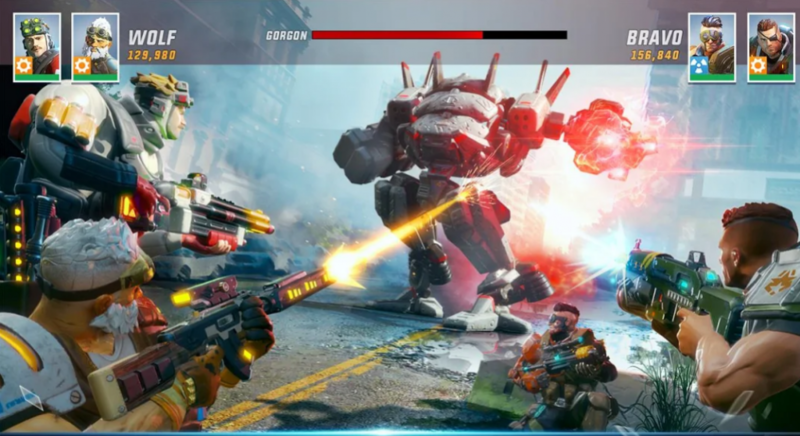 Modern Combat Versus is a breathtaking shooter from the developers of the popular company Gameloft. This is an exciting team shooter. The whole game process takes place only online. Create an invincible warrior, constantly develop his unique skills. Win on the battlefield. One is not a warrior in the field, only a team game will bring the desired effect. Here, you can choose from a variety of different weapons, from a conventional knife to tanks. More than 10 types of warrior characters are available. Create your own team of invincible warriors. Four to four game mode is available. Five different maps for battles, with their own hiding places and hideouts. Shots are heard at every turn, grab a large bag of ammunition with you, otherwise, you will not have any chance of survival. The best fighters are displayed on a special table and at the end of the week, they will be awarded special prizes and chic awards. Intuitive gaming interface doesn’t make it difficult for beginners to deal with it and you’ll quickly adapt to game control. 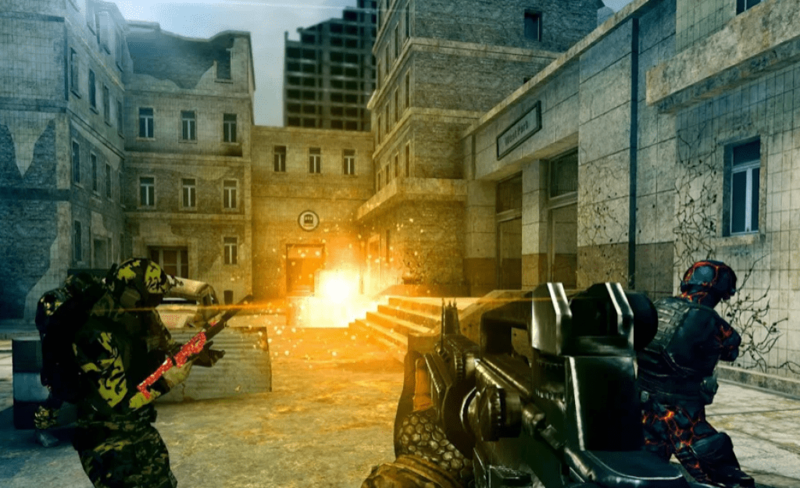 The developers have added modern special effects, what significantly increases the level of pleasure from the gameplay. 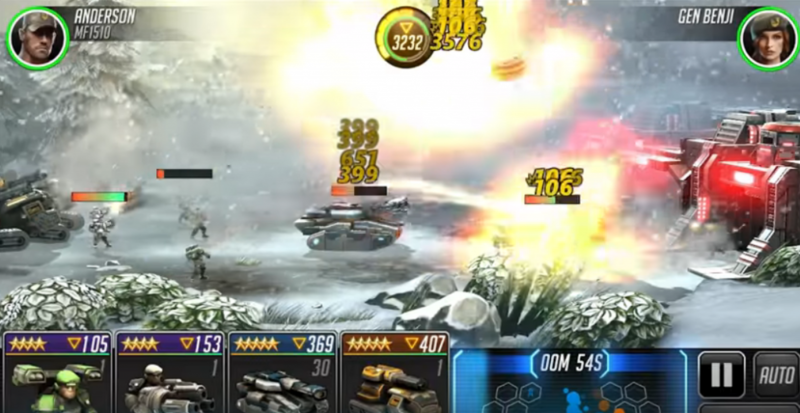 Guns of Boom is one of the best mobile shooters, which has become a direct competitor to the game Battlefield. It is worth noting that many game portals appreciated the game and set their highest marks. This means that the game is really interesting and it will be interesting to play. In the game, you have to choose a fighter you are interested in, for which in the future you will play. But if you get tired of one or another character, then you can change it to any other. You have to perform various missions for which you will be given valuable prizes and rewards. In the game, there are a large number of different weapons that will be difficult to open at the beginning, but with it, you will be able to kill your enemies to pieces. By the way, the game is a multiplayer shooter, which is very dynamic and you will have to fight against other players on a variety of maps. And the maps themselves are quite interesting because of their unique design, which is very beautiful. The only disadvantage of the levels is their scale, which is not very large. The graphics in the game at a high level, but the optimization leaves much to be desired. The game also has training that will help you understand the basics of the game. A large number of gaming locations that are unique in their own way. Sniper X with Jason Statham is an awesome FPS game. You have to enter into an unequal battle for freedom against chaos and arbitrariness. Your only assistant is unsurpassed Jason Statham. Together with him you will join the ranks of the elite military organization SPEAR and understand all the secrets of the martial art. An exciting gameplay full of incredible special effects, realistic three-dimensional graphics and modern soundtracks will pull you into the game for a long time. You had the honor to go through many combat missions in the role of Sniper X and free the world from enemy invasion. At your disposal, there is a huge arsenal of weapons – from simple to elite. For each opponent choose your optimal weapon, and the effectiveness of the battle will increase significantly. Aim the enemy exactly in the head and get nice bonuses for it. Hone your fighting skills and get an opportunity to improve your weapon. And you will become invincible. Record the best moments of the game and share them with your friends. Imagine yourself as the last Sniper X who, along with commander Jason, took to the warpath against the enemies of the free world. 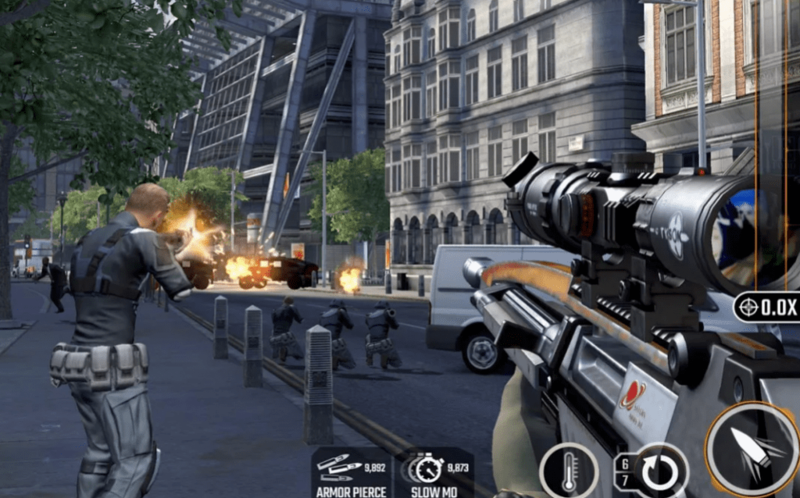 Download Sniper X with Jason Statham to your gadget and enjoy the game. 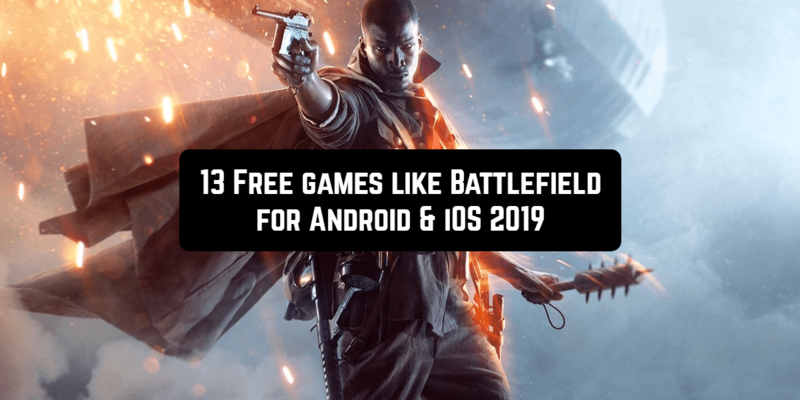 All presented games are perfect for fans of Battlefield since their gameplay and main features perfectly meet the requirements of the genre.